Prime Minister Pavel Filip participated in a round-table discussion, organized by the Executive Vice President of the Atlantic Council, Damon Wilson. 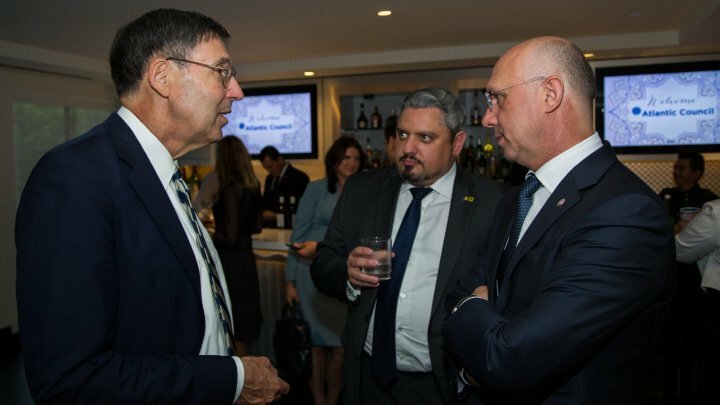 The event brought together experts from the US State Department, the Department of Defense, as well as representatives of the Institute of Peace and the US Agency for International Development. The prime minister spoke about the reforms promoted by the Executive, notably mentioning the progress made in rehabilitating the financial and banking system and increasing the competitiveness of the key sectors of the economy, including thanks to US assistance. "We are very well aware that without external investments and without a favorable investment environment we will not be able to make a qualitative leap towards modernizing the country and creating jobs for citizens," the prime minister said. "We need a strong US leadership to ensure security in the region and we count a lot on this support." The Executive Vice-President of the Atlantic Council noted that the US will further support Moldova's efforts to counter foreign interference and help accelerate democratic transformation in our country.